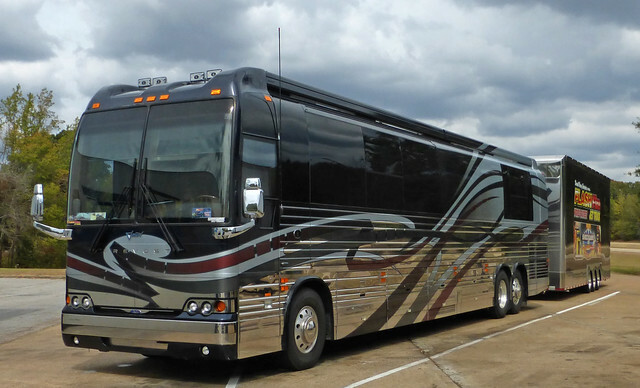 On Saturday morning, I left Mobile for the 32 mile trip to Citronelle. The railroad depot museum there is only open on Saturdays, so this trip was planned around that schedule. 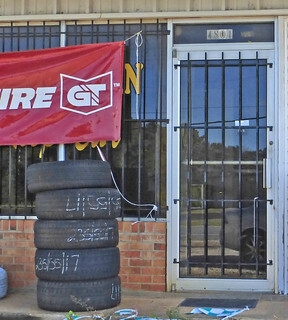 On the way out of the city, I soon found myself in the town of Prichard. I noticed the Sawyer furniture company on my right and decided I should stop to visit. Now these are not "my Sawyers." 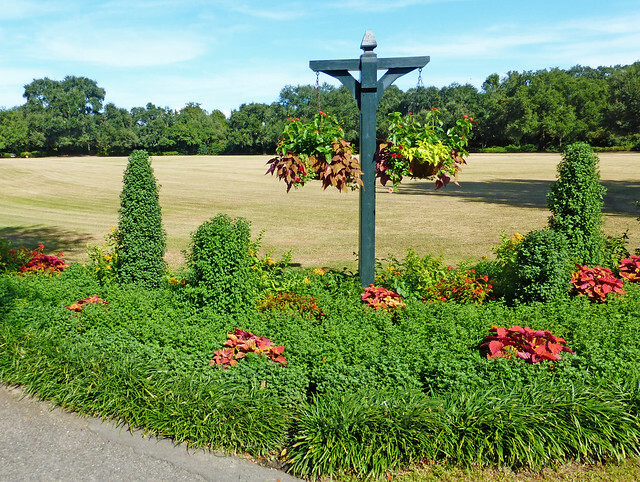 My Sawyer family comes from the delightful town of Eufaula over on the Georgia border. But Sawyer is a fairly common name in this English heritage state. 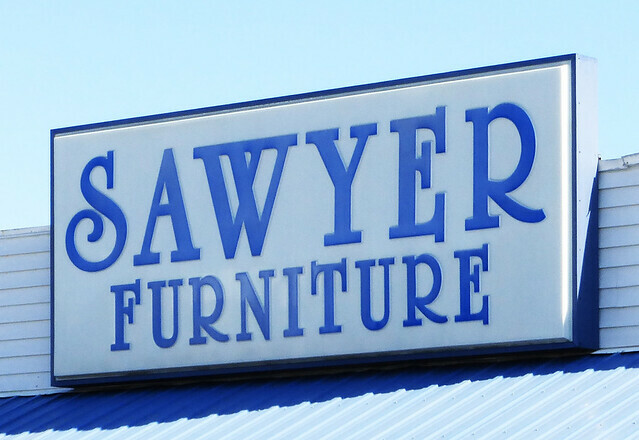 I quickly noted that the Sawyer furniture store appeared to have fallen on hard times and was for lease by the Sawyer realty company. 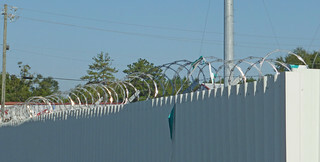 In the course of driving through town and turning around, I noticed that the Sawyers might have done quite well if they had been in the business of selling iron bars and razor wire. What on earth is this town? I looked up Prichard later and discovered that it might well forecast the future for your own town. The discussion of municipal finance and pension obligations makes most people's eyes glaze over. 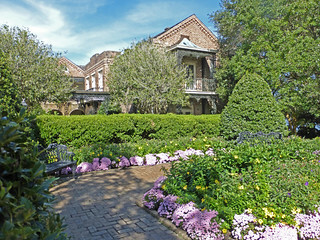 But this stuff has real consequences and many cities, large and small, are on a route that ends in a place like Prichard. 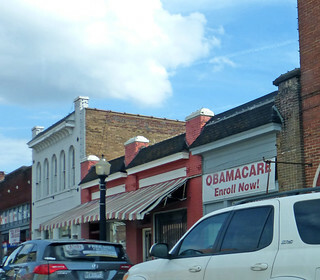 This struggling small city on the outskirts of Mobile was warned for years that if it did nothing, its pension fund would run out of money by 2009. Right on schedule, its fund ran dry. 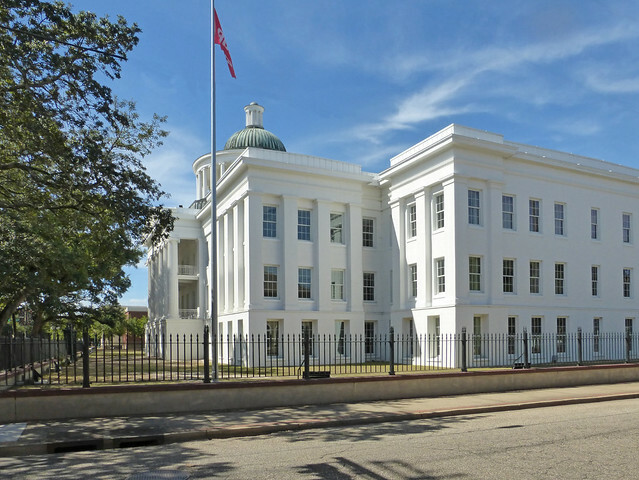 Then Prichard did something that pension experts say they have never seen before: it stopped sending monthly pension checks to its 150 retired workers, breaking a state law requiring it to pay its promised retirement benefits in full. 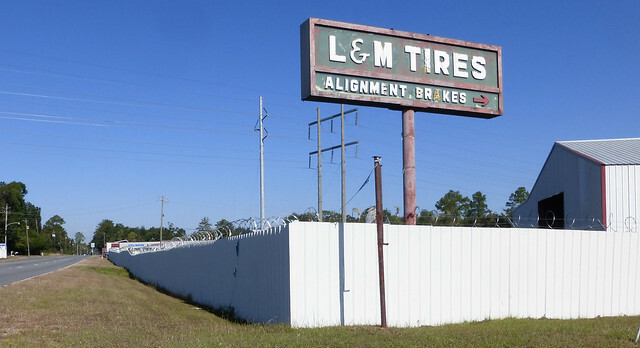 ...The situation in Prichard is extremely unusual — the city has sought bankruptcy protection twice — but it proves that the unthinkable can, in fact, sometimes happen. And it stands as a warning to cities like Philadelphia and states like Illinois, whose pension funds are under great strain: if nothing changes, the money eventually does run out, and when that happens, misery and turmoil follow. 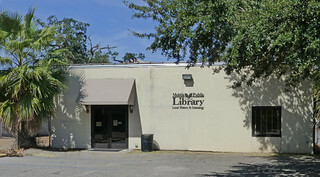 Since I had great success at the Mobile Genealogical and Historical Society, I now had a free afternoon. 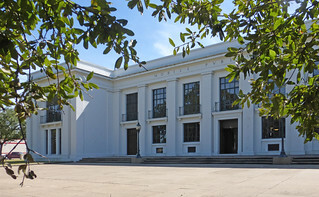 I asked the librarians for a lunch recommendation expecting to find some place nearby but their recommendation was to "take the causeway out by the battleship." Since I know that area, I took their advice and headed out to Battleship Park, home of the battleship Alabama. I blogged about it previously back in 2012. I had a great gumbo with super service at Ralph & Kacoo's just off the causeway. More on that later. 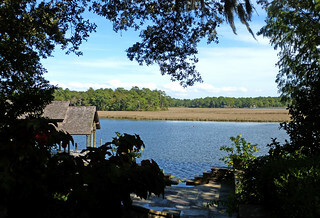 He built a "fish camp" on the Bay and his wife, Bess, built a garden. I wouldn't pass through Mobile without stopping to check up on it. 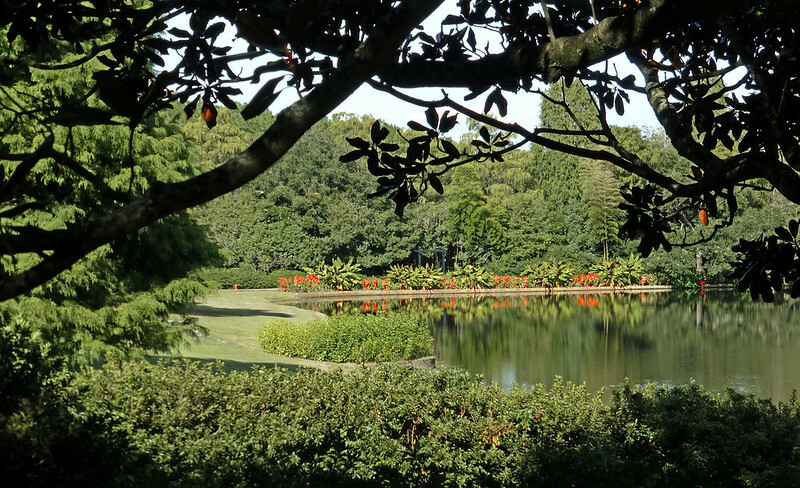 We have always visited it in the spring when the Azaleas are at their peak so here was a chance to see the plants that require more time to develop. I was surprised to see the Great Lawn looking very short and brown. I had arrived in the midst of the annual re-seeding. 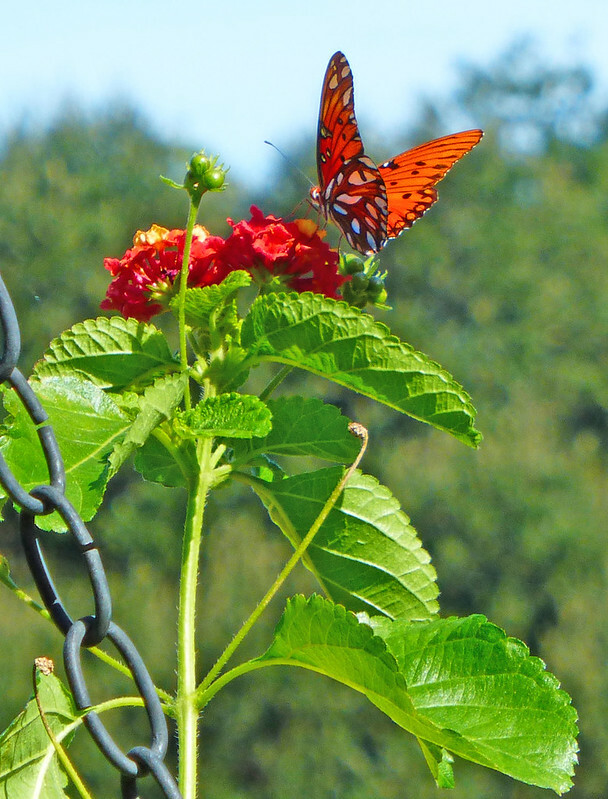 But the butterflies that had passed through Bloomington in early September appear to have arrived here on their migration and were enjoying the flowers on the periphery. Our Minnesota and Wisconsin loons will also be arriving here soon to spend their winter on the Gulf. The house and the waterfront were attractive as usual. I skipped the interior tour this time. 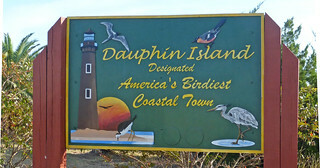 When I left, I drove down to Dauphin Island to see how it was doing in recovery from the hurricanes of a few years back. The new bridge out to the island gives a nice view of the white sand beaches in this area. 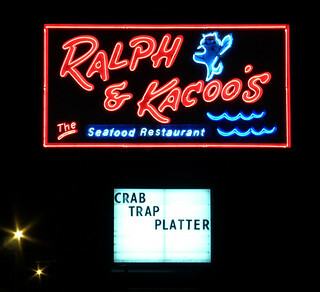 I had enjoyed the lunch at Ralph and Kacoo's so much that I returned for dinner. 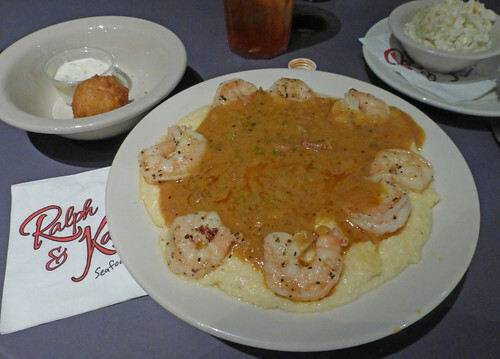 After another helping of the Gumbo, I had the shrimp and grits (with Etouffee sauce). Both the food and the service were outstanding. 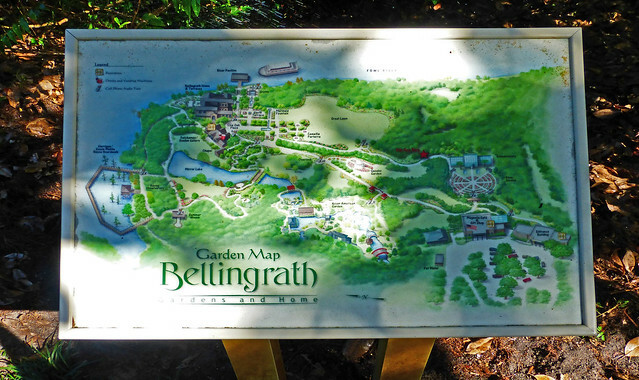 Highly recommended when you are in the area. 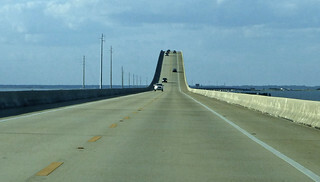 The traffic in Canton, MS, slowed me so that I didn't arrive on the Gulf at Biloxi, Mississippi, until after dark. 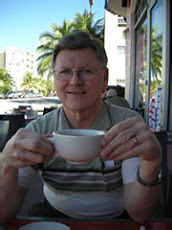 By the time I got settled in at a motel it was too late to have dinner at the Blow Fly Inn in Gulfport. That was about the only disappointment of the trip. The next morning I headed across the border into Alabama. 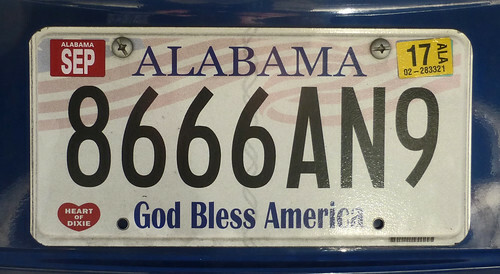 I quickly noticed that the "Heart of Dixie" has been discretely minimized on the license plates and a slogan with broader appeal is emblazoned on the bottom. 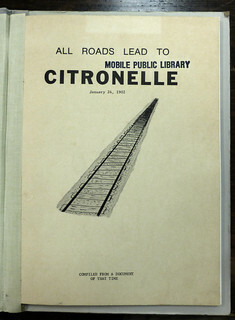 I had emailed the Mobile Public Library to inquire about the availability of any Citronelle newspapers or the Mobile Register for 1896 to 1900. 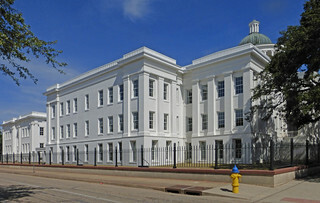 I soon learned that the Genealogy and local history works are actually kept in the modest building next door to the gleaming white library on Government Street. Librarian Hesper Montfordhad a package of information waiting for me. 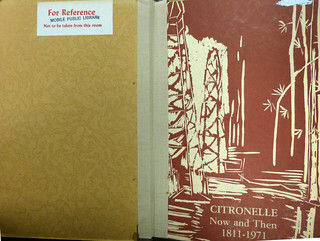 She had two small books on Citronelle ready and got me onto a digital microfilm reader/printer to run through the Mobile Register. I soon located two articles on the death and funeral of William S. Burroughs and another on the subsequent re-marriage of his widow. I was now ahead of schedule with a free afternoon ahead of me and only needed advice on where to find a good Red Beans and Rice lunch. 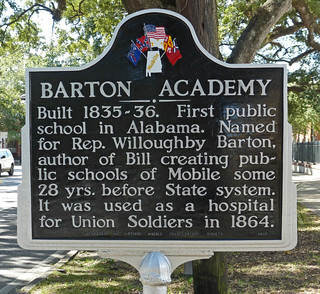 Before leaving the area, I strolled down Government Street to the Barton Academy where W.S. 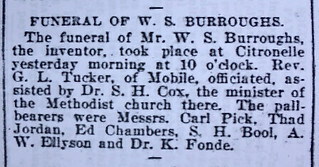 Burroughs' sons attended high school. It is a very impressive building. 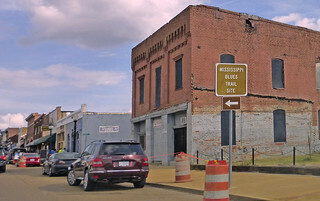 Canton, Mississippi. Something Old, Something New. By mid-afternoon of day 2, I had reached central Mississippi. I was ready for lunch and hoping for some red beans and rice. 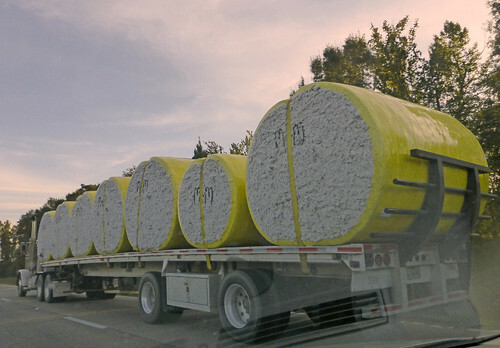 This is cotton country, by the way. I spotted an exit for Canton, Mississippi and pulled off the Interstate. As I headed into town, I realized I might have made a mistake. The line of cars leaving town was over a mile long and not moving. The line of cars heading into town was barely moving. I had picked the one day of the autumn when Canton holds a huge and famous flea market. 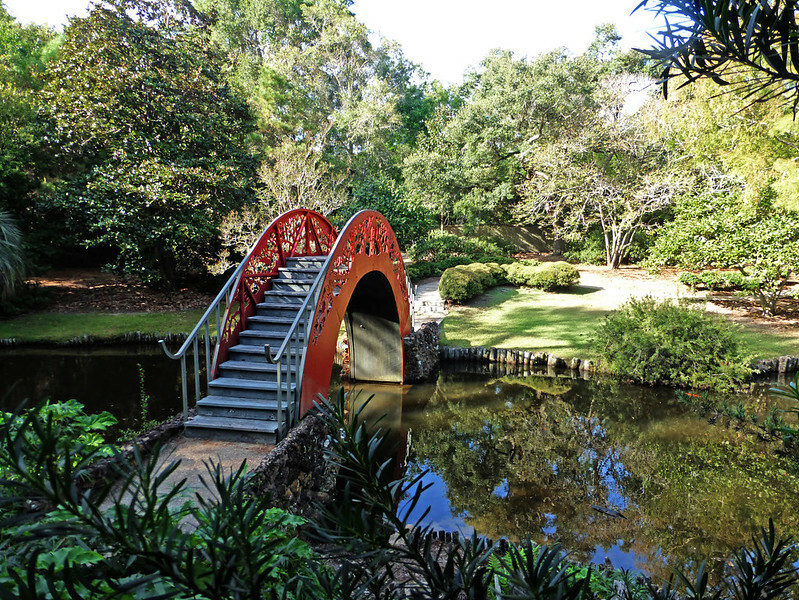 If I hadn't been on a specific mission, I would have spent the afternoon here. 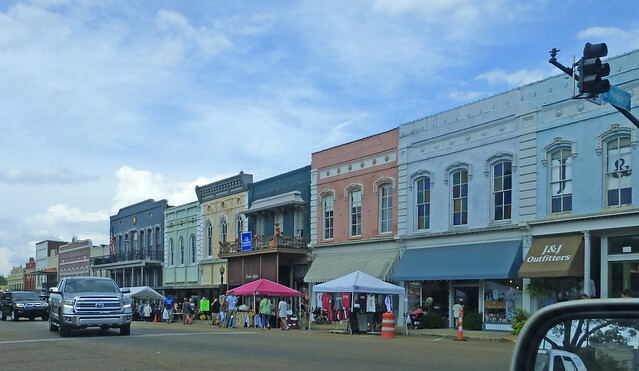 A town on the Mississippi Blues Trail with a beautiful old courthouse and many restored buildings, why not spend a full day? Canton is also home to one of the largest automobile plants in the United States. On the way out of town, I took Nissan Parkway past the plant. 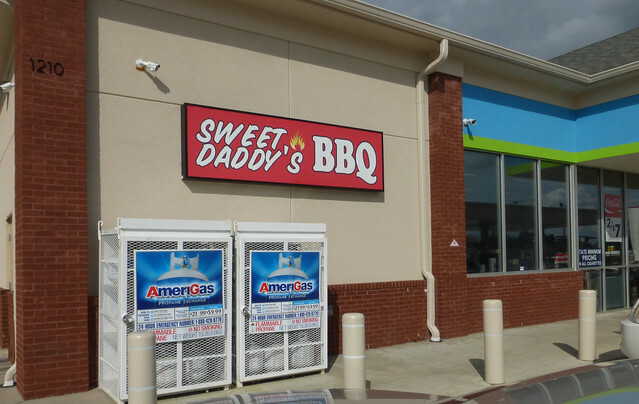 I stopped at the next exit and settled for lunch at Big Daddy's barbecue outlet in the freeway gas station. They were sold out of red beans and rice - but oh, the barbecued ribs! Southern comfort food at its best. Whatever has happened to Tom's Travel Blog? A good question - I have been on hiatus for quite a while, with only two posts since our return from Egypt. But Linda has departed for two weeks in Spain with her regular "traveling ladies" group from the Red Hats - and that leaves me free to chase my computer history ghosts. 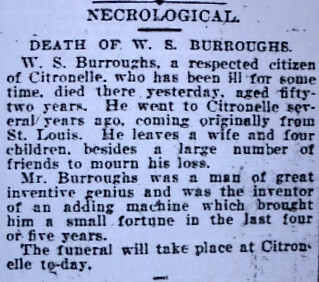 I headed out a few days ago to Citronelle, Alabama where William S. Burroughs died in 1898. 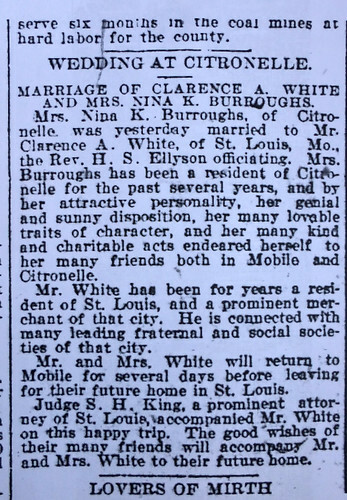 That gave me the opportunity to drop into Mobile, Alabama and check some newspapers; make a stop in St. Louis, home to Burroughs' American Arithmometer company to check more papers and, finally, stop in Macoupin County, Illinois to gather information on another American Arithmometer founder. 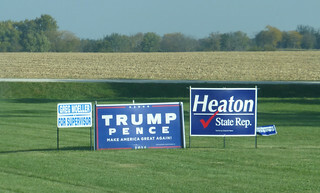 Since this was late in the election season, I took a few pictures of campaign signs along the route. If you arrived from another planet and drive the midwest countryside North to South, you will no doubt come to the conclusion that there is only one person running for president this year. 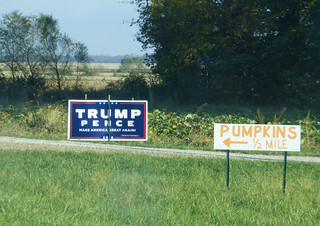 The presidential campaign signs are quite a bit more sparse than usual but in driving through seven states I only saw Trump signs except for one small Hillary sign amidst some mobile homes in tiny Shipman, Illinois. I assume there are more Hillary supporters to be found in the larger cities. 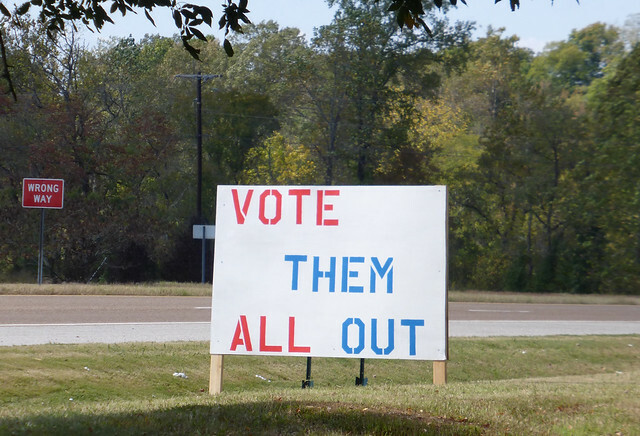 I did see more than the usual evidence of this sentiment expressed in hand-made signs, though. You certainly get a feel for the diversity of American driving this route. 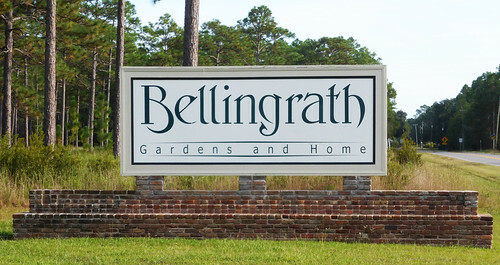 In the south, there is a much greater inclination to name things after politicians - especially senators. 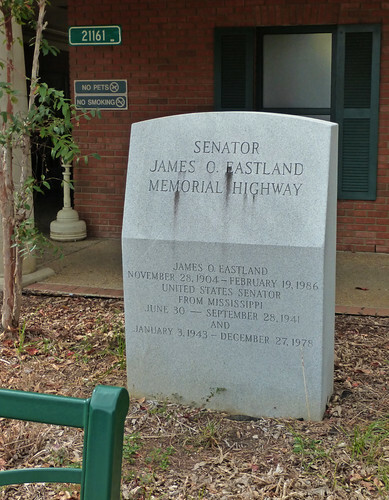 Not to be outflanked by the Bankhead Highway, Mississippi has designated most of I-55 as the Eastland Memorial Highway. If you are not old enough to recall the senator, you can get a history lesson in the middle of this article. You might be as surprised as I was to find him memorialized here. 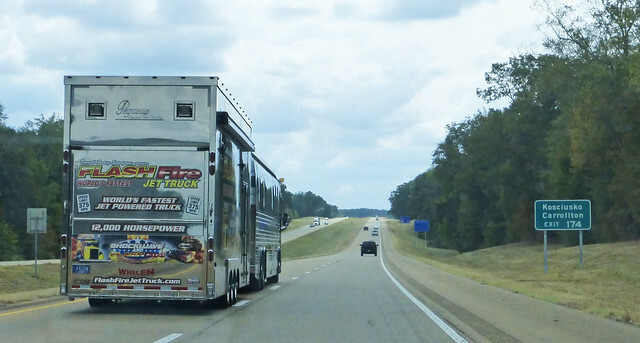 Think of Mississippi and Alabama and you might think NASCAR racing. 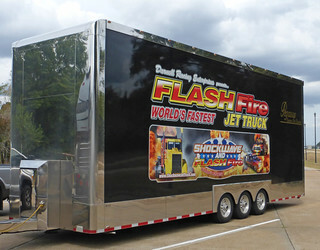 But, as I cruised down I-55, I was passed by a jet truck. I caught up to the vehicle at a rest stop and took a couple more pictures. We'll continue on to the Gulf in subsequent posts.